We know app developers of all sizes need valuable and easy-to-use solutions to earn more from their apps. That’s why we’ve invested in providing tools that not only empower you to build sustainable revenue streams but also make your job easier. Today, we are excited to announce that the Open Bidding program now features eight advertising partners for mobile ad buying. In addition to OpenX, Index Exchange, Smaato, Tapjoy, and AdColony, now Facebook Audience Network, AppLovin, and Rubicon Project are joining the ongoing beta. With these new partners, we’re offering diverse sources of app advertising to compete for ad inventory in real time, driving even more revenue for app developers. 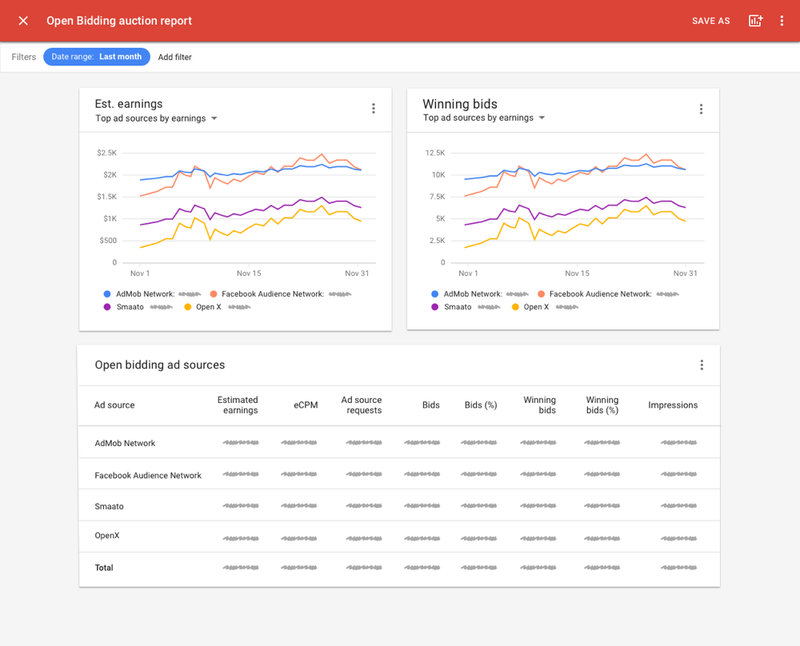 We’re continuing to add new features to Open Bidding based on feedback from our beta participants, including support for all ad formats like interstitial, rewarded, banner, which is all available today, and native, which will be added soon.